Mom to three kids: John (14), Betty (6), and Suzie (forever 10). I’d never noticed it before. Perhaps because I didn’t know anyone whose child had died from cancer. Or, more likely, I didn’t bother to see it. On at least three occasions Harrison stood at deaths door; most significantly, following his stroke. I recall kneeling on the floor beside his bed as he seized, speaking unkindly to the ER doctor to do something. There is no feeling I’ve had like watching Harrison have a seizure, knowing it was because of a stroke. Old people die of strokes, not ten year old boys. In the days that followed Ginger and I took turns “sleeping” on the floor of the pediatric ICU room while Harrison lay unconscious. For a few nights they let both of us stay, not expecting him to live. All night long for a week Harrison’s blood pressure would drop dangerously low and alarms would sound. I would leap to my feet to shake him (something the nurses asked me to do). Nurses and doctors would come in to check on him. When I went into Harrison’s bedroom this morning to awaken him, I gently stroked his back and whispered, “Happy Birthday.” Ginger and I then sang the song. He wasn’t impressed; twelve year olds aren’t supposed to have mommy and daddy sing to them! But before I woke him, I reflected briefly on the nearly two years since his near-fatal stroke. I can’t believe he survived. And I can’t believe he nearly died. He was almost forever ten. But Harrison doesn’t think about it. He thinks about being a kid. Living in the moment he chooses to forget the past. He never says, “Do you know how close I came to dying? !” He just lives in the present. To him, he is a twelve year old sixth grader, not a survivor. Being twelve is all that matters to him. One year at a time. One week at a time. One day at a time. That’s how kids live. It’s also how Scripture describes Christians living. Worry today cannot change danger tomorrow. But as you have occasion to pray for Harrison, you can pray specifically for protection from infection. He’s severely immunosuppressed. Every handshake, hug, or door handle holds germs that could be deadly to him. We don’t want him to be the boy in the bubble, but we do want him to be protected. And join us in giving thanks to God that Harrison is twelve, not forever ten. So grateful that he can celebrate his 12th birthday! We pray for Harrison and are in awe of God’s goodness to him. 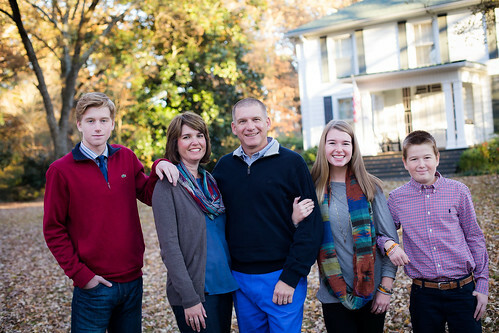 Have a wonderful Christmas, McKinion family! Thanks so very much for praying. It truly is by God’s grace. The Joy of our Lord is our strength. I pray every morning you and your family will know that joy. Thanks for sharing these moments and thoughts with us. In my heart and mind I am hugging Harrison. Merry Christmas McKinion Family. You are so very kind, Pam. Merry Christmas to you as well. We would love to catch up while you are in WF.